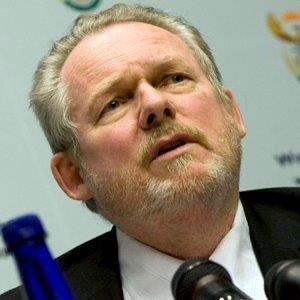 Trade and Industry Minister Rob Davies said he accepted social invitations from members of the Gupta family, as did many South African politicians including Western Cape Premier Helen Zille. In a written reply to questions from DA MP Werner Horn about the minister's interactions with the Gupta family, Davies clarified that even though he met with members of the Gupta family in the past he had not taken any official administrative action on their behalf. Davies had first met a member of the Gupta family in 2009, in a meeting facilitated by former president Jacob Zuma's son Duduzane. "I knew Duduzane since he was a child in Maputo and agreed to a meeting at my residence in Cape Town," Davies said. At this meeting Ajay Gupta has discussed a feasibility study for a mining project submitted to the Industrial Development Corporation (IDC). Ajay had complained that his application was taking long to process – possibly to the detriment of workers who could lose their jobs. But Davies said he clarified that in his capacity as minister he could not get involved in deciding the merits of an application. "I did, however, say I would refer his complaint of the time delay to the IDC - as I have with numerous other similar complaints with regard to procedures by the department or agencies reporting to it," he said. The IDC advised Davies that the application would be taken to the point of decision making, thereafter the IDC ceased reporting to him and the economic development department became the reporting authority. Davies further said he met with members of the Gupta family for social purposes. "In a few occasions (maybe five or six times) I accepted invitations to social events organised by members of the Gupta family (as at the time did many other politicians, including the Premier of the Western Cape, Helen Zille)," the reply read. Zille told Fin24 that in her capacity as Mayor of Cape Town in 2006/07 she had accepted an invitation to the opening of Sahara Park Newlands, a cricket stadium. "If you are invited as mayor - in good faith to the opening of a major facility in your city, you go," she said. Davies further said that he met at the Gupta residence on "many occasions". "Most of these were social occasions where several other people were also present. On very few occasions, I accepted personal dinner invitations with my wife at which the mother of the Gupta brothers was also present. "Discussion on these occasions were broad and general and mostly social in nature with an emphasis at the time on the value of deepening economic relations with India. They also informed me, in general terms, of their plans to establish a new newspaper," Davies explained. Davies particularly recalled a meeting including other department officials six years ago at the department's offices in Tshwane – which was requested by the Gupta family. "The nature of this meeting was similar to innumerable other meetings of the type with other potential investors, both domestic and foreign. "My consistent message on all such occasions (and in all interactions with members of the Gupta family) was that requests for access to any programme or facility should be directed to the department or agency concerned following the prescribed procedure and would be decided on by officials charged with assessing such applications according to defined criteria. In the event no follow up meetings were requested or held," Davies emphasised. On another occasion during a visit in Mumbai he was invited to a warehouse, where computers which were assembled in SA were received for export to India. "At the end of this visit, I was given a laptop computer. I subsequently donated this for use by the Small Enterprise Development Agency and showed the documentation on this to the former Public Protector (Thuli Madonsela)." Davies also attended the infamous Gupta wedding at Sun City, which was allegedly funded through monies intended for the Vrede Dairy project. Davies said he attended because he was under the impression there would be a number of Indian business people and government officials he would interact with - as his work involved interacting with business people and potential investors. "That, in fact, did not materialise. Thereafter I have had no direct contact with any member of the Gupta family," he said. Davies added that he had made this information available to Madonsela for her State of Capture report and that he is prepared to appear before the Zondo Commission of Inquiry into State Capture. Former Finance Minister Nhlanhla Nene had subsequently resigned following revelations before the commission that he had met with the Guptas.